A recent training course has helped the customer-facing staff at Bromsgrove District Housing Trust (bdht) to ensure that tenants can manage their heating and hot water, without requiring an engineer. The leading provider of affordable housing in Bromsgrove, bdht, arranged the course for all customer service staff after identifying that a number of boiler-related callouts often stemmed from customer difficulties with the heating’s controls. The housing provider decided to train support staff in understanding common heating or boiler problems and resolving them without the need for an engineer. Jeanette Matthews, Head of Customer Delivery at bdht, said: “Over the past two years we’ve spent over £500,000 on improving energy efficiency in our homes, and this has included the installation of around 245 new boilers. bdht decided to approach Worcester Bosch, who it has worked with for a number of years, to train support staff in programming and troubleshooting heating controls so that staff could then pass this information on to the customer and resolve queries quickly and efficiently. The session was delivered by Stuart Hawksworth, one of five mobile training engineers at Worcester Bosch. 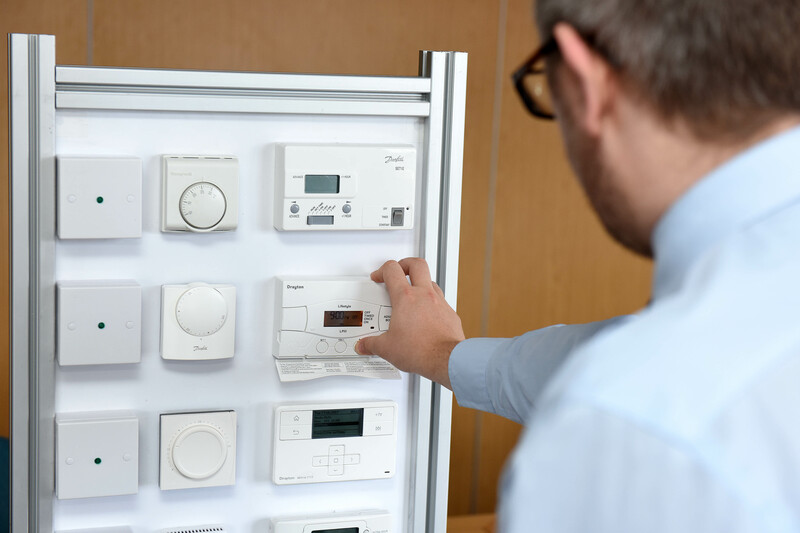 Using a board equipped with three working heat controls and thermostats, Stuart took participants through the basic functionality of the controls, including setting the time, date, and timer, as well as some common problems. Worcester Bosch offers a mobile training service for all customers. It conducts approximately 1,000 offsite courses each year.